Roccbox vs Uuni (Ooni) 3- Which is a better investment? The Roccbox and Uuni 3 are one of the best pizza ovens and if you are making a choice as which one is better between the two then you have to read this comparison post. Comparing the two pizza ovens is pretty interesting and both the ovens have their own pros and cons, however, it is going to get really interesting when we have to pick one and decide which one is better. If you are unaware about the new Uuni release then do check out the Uuni Pro which is an amped up version of the Uuni 3 and we have compared both the Uuni Pro and Roccbox as well on this blog. Coming back to the two pizza ovens being compared, i.e. the Uuni 3 and the Roccbox Pizza oven, we would compare each of their features and reach a final conclusion on which one is better. If you want to skip reading on every feature in detail then check out the final Conclusion section to know which one is a better investment. 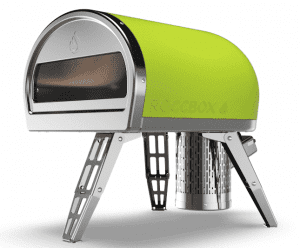 The Roccbox Pizza Oven is gorgeous and it has a really sturdy built. It is a countertop pizza oven so you can easily place it on a countertop and it takes really less space in comparison to any other wood-fired pizza ovens. The oven has a burner unit at the back where you can burn wood or coal according to your wish to fuel the pizza oven. 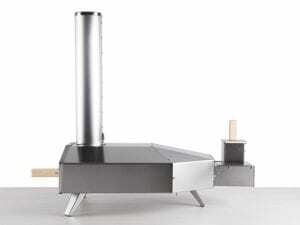 The unit can also be replaced with a gas burner, making the pizza oven fueled by a propane tank within no time. The best part about the pizza oven is that you can use multiple sources to fuel the pizza oven. The size of the pizza oven is larger than the Uuni making it more suitable to cook steaks and other dishes inside the oven. The cooking area in the Roccbox oven is large enough to cook a pizza of about 12 inches. So, you cannot cook a really large 16-inch pizza but you can definitely cook multiple pizzas one after the other as it barely takes 70 seconds to cook one. The Uuni 3, on the other hand, has a nice silver metallic finish and is really light in weight and portable. It is way lighter than the roccbox and you can easily out it in its dedicated bag and carry it around with you to trips. The Uuni 3 is fueled with wood pellets which are cheap to buy and efficient in raising the temperature inside the oven really quickly. 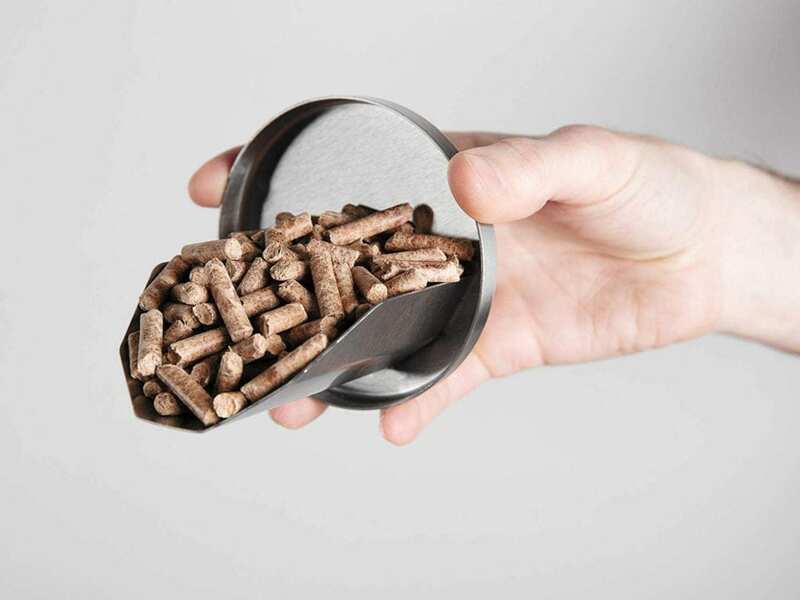 The pellets produce a lot less smoke as well making them eco-friendly. Getting started with the Uuni 3 is going to take some time as you have to assemble all the parts of the pizza oven that comes inside the box. You do get all the things you need for the assembly in the box itself and it would take around 20 minutes to ensemble the entire pizza oven. The Roccbox Pizza Oven relatively requires less effort to get started with and honestly if you choose for it to be gas fueled then it would take less than a few minutes to get started. Both the pizza ovens are fine when it comes to setting them up and getting started with them, however, the Roccbox might be slightly easier than the Uuni 3. Moving on to the main aspects of the two pizza ovens, one among them is the performance. The Uuni 3 cooked the pizza really well and within 60 seconds. You do need to turn around the pizza while it is cooking in order to get it perfectly cooked from all the sides and avoid any uneven cooking. The Uuni 3 can easily reach 700°F at the base of the pizza oven and around 900°F inside the oven due to the insulated design that avoids any heat escape from the pizza oven. The pizza in the Roccbox can take a little longer or around the same time to cook. The base of the oven can reach anywhere around 900°F giving you really crisp pizza base along with well-cooked toppings. Performance wise both the pizza ovens worked great and for the price tag, Uuni 3 worked amazingly well but we have to give it upto Roccbox as cooking in it is much easier especially when it is gas fueled. 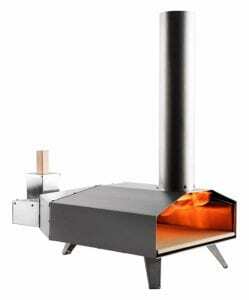 The Roccbox pizza oven has a burner unit so it can be fueled with wood and coal easily. You can even replace it with a propane tank and get the entire setup to be gas fueled which is another advantage. Something that is a little annoying about the wood-fired pizza oven is that you need to always monitor the fire and make sure that is lighted all the time that the pizza is being cooked. This is the case with Uuni as well since the wood pellets burn out pretty fast and you need to keep an eye on the burning wood so that you do not end up with a pizza that has black soot all over it. 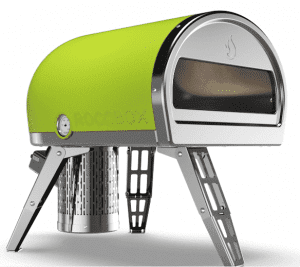 Roccbox is slightly better that way as all you need to do is plug in the propane tank to make it gas fueled and leave the pizza to cook inside without having to keep an eye on the fuel all the time. The open design of the Roccbox makes it easier to keep an eye on the pizza while the closed setup of the Uuni 3 might make it difficult to know if the light is still lighted in the burner at the back. Update: Uuni recently released the gas burner so now it comes with a gas burner as well, making it equally good in comparison to the Roccbox Pizza Oven. Both the pizza ovens are portable, however, the Uuni 3 undoubtedly aces the portability factor as it is extremely light in weight and you can carry it around with you on trips as well. The chimney on the Uuni 3 is detachable as well making it even easier to carry it around with you during your camping trips. 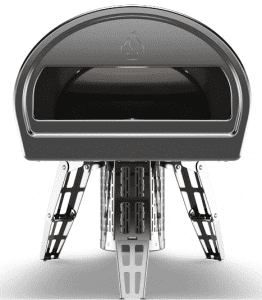 The Roccbox might need to be taken to trips in a car as it is relatively larger and even though it is not heavier the size of the pizza oven is way bigger in comparison to the Uuni 3 Pizza Oven. 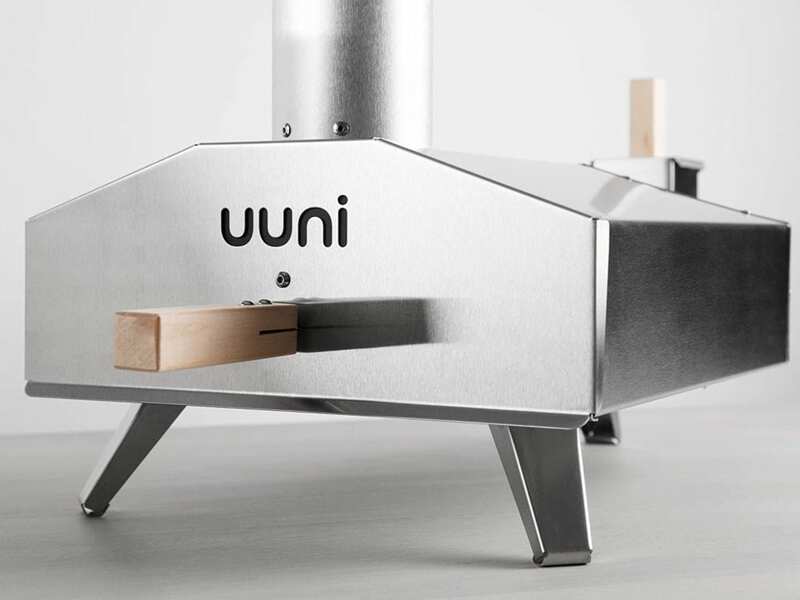 Uuni 3 wins this as it is probably one of the best portable wood-fired pizza ovens. If you are a pizza lover, then you would love both the pizza ovens and both of them are really good when it comes to choosing one, it is going to be a tough choice. Considering the price point and everything we would say that Uuni 3 seems like a better investment. It does have a few downsides but they are quite manageable if you want to save a couple of hundred bucks and still have the best pizza oven for yourself. The Roccbox would cost you double of what the Uuni 3 is and if you want perfection then you can go for the Uuni Pro rather than investing that money in Roccbox. The Uuni 3 is multi-fueled as well and you can use a gas burner with it as well, however, you do need to get the gas burner separately but it is totally worth the money. The features of Roccbox are amazing but if you look at the price feature balance then we have to give it to the Uuni 3 as it has a lot of features for a very reasonable price. There are way too many expensive wood-fired pizza ovens out there but Uuni gives you the best of the features at a good price. In the case, you have any experience with the two pizza ovens then leave them in the comments below as it would definitely help our readers! Which one would you prefer? The Uuni 3 or Roccbox?